seized by ICE in Florida on November 4, 2011. Immigration and Customs Enforcement’s (ICE) Homeland Security Investigations (HSI) seized the painting known as Christ Carrying the Cross Dragged by a Rogue pursuant to a court authorized warrant on Friday, November 4, 2011. 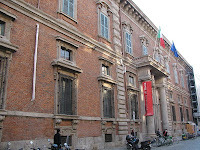 Judicial records reveal that federal officials chose to seize the painting at that time because the artwork, which was on loan to and openly displayed at The Mary Brogan Museum of Art and Science, was about to be returned to the Brera Art Gallery (Pinacoteca di Brera) in Milan, Italy. 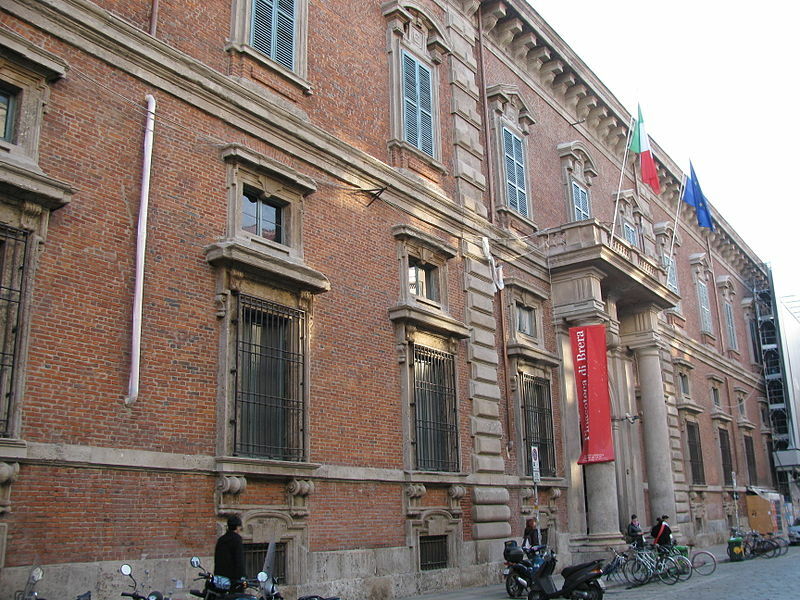 The Brera originally possessed and loaned the artwork, painted by Girolamo Romano around 1543. The US Attorney’s Office for the Northern District of Florida filed a civil forfeiture action in federal district court in Tallahassee the same day as the seizure. Seizure permits the government to take possession of the painting, but a forfeiture order issued by the court would allow the government to gain title of the painting. That is why the US Attorney’s Office filed an in rem (against the thing) lawsuit, naming the artwork as the defendant. The case is captioned and docketed as United States of America v. Painting Known as Cristo Portacroce Trascinato Da Un Mangoldo, 4:11-cv-00571-RH-WCS. Federal prosecutors argue in their civil complaint that forfeiture of the painting is proper under multiple legal theories. They cite the typical ones under the criminal statutes (Title 18 of the United States Code) and the customs statutes (Title 19 of the United States Code). But the government also makes a claim under Title 22, the foreign relations section. First, prosecutors allege that the painting was smuggled pursuant to 18 USC § 545 and therefore must be forfeited under the terms of this criminal statute. They also say that the artwork must be forfeited because it was illegally imported in contravention of the customs law at 19 USC § 1595a(c)(1)(A) since the painting was “stolen, smuggled, or clandestinely imported or introduced” into the United States. Federal lawyers also make a claim under the Illegal Exportation of War Materials statute at 22 USC § 401(a), saying that it mandates forfeiture of the painting: “Whenever an attempt is made to export or ship from or take out of the United States any arms or munitions of war or other articles in violation of law, or whenever it is known or there shall be probable cause to believe that any arms or munitions of war or other articles are intended to be or are being or have been exported or removed from the United States in violation of law” then the article may be seized and shall be forfeited.” (Emphasis added by the author). The court will decide if prosecutors possess the evidence to prove their case. To date, the information prosecutors possess appears considerable. That material is discussed in Part II.